I always find myself drawn to local restaurants--even if they are part of a local "chain" or local franchise. Burntwood Tavern has a handful of locations in the suburban Cleveland, Ohio area--and we have been tempted to stop in for a few years now. Finally, we found time to visit the Solon location during one of our recent, Northern Ohio adventures! 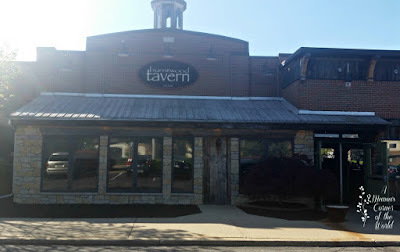 What did our family think of Burntwood Tavern in Solon, Ohio? Leading up to the Meal at Burntwood Tavern in Solon. If you travel a lot and eat "on the go"--i.e. you pick your dinner destination en route to a hotel or an event...in a new-to-you-location...you know that there are times when horrific traffic situations or poor gps signals and routing problems make finding your dinner destination difficult. Burntwood Tavern in Solon, Ohio, is easily accessible--and readily located via gps. They offer ample parking (via a decent sized, dedicated parking lot) and our wait for an early Saturday evening table was only a few minutes. Is Burntwood Tavern family friendly? I grew up thinking any "restaurant" with the words tavern, bar & grill, or pub equated to something less than family friendly. These days--that's not usually the case--though we still do a parental walk-in-walk-out before adding our family of four to a pub/tavern/bar wait list. Burntwood Tavern is a rather unique blend. They have a bar. They have table seating. They have large, group, banquet style seating. The atmosphere and the menu work so well for (older and younger) couples seeking a more adult meal--as well as families bringing the kids in for a family dinner. The hostesses did a nice job seating couples away from families--and families away from the bar. 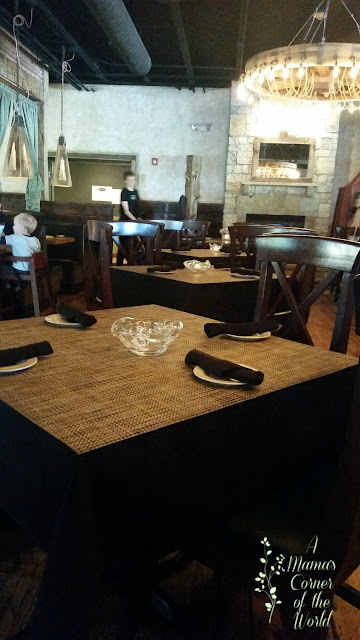 Our tween girls liked the more formal style place settings and the real candles on the tables--but, they didn't feel awkward breaking out their paper kids' menus and crayons in the atmosphere. Okay--So How was the Food at Burntwood Tavern? When we travel--we are usually all working. Either the girls are competing in an Irish Dance competition (which is more work than play at their competition levels) or I'm working on a travel article or a brand post or the husband is making business calls of some sort....Most weekends: we are all "on duty". When we hit dinner time--either it is the end of a stress filled day--or we are celebrating some big wins or accomplishments. Either way--we are always starving--so the quality of the food is all-so-important to us! 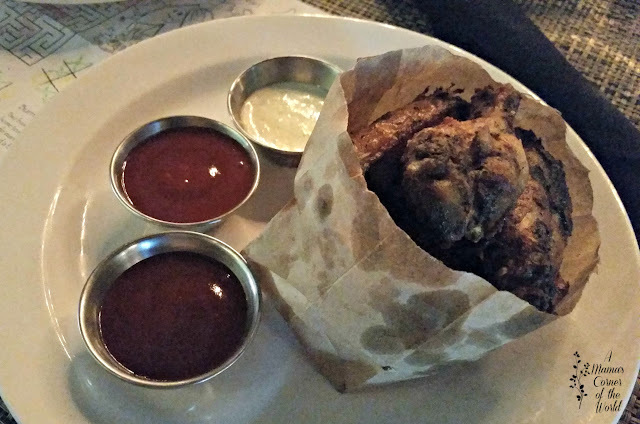 What did we think of the menu at Burntwood Tavern in Solon, Ohio? We Discovered Happy Hour Specials.... During our visit to Burntwood Tavern, we found ourselves seated during Happy Hour. 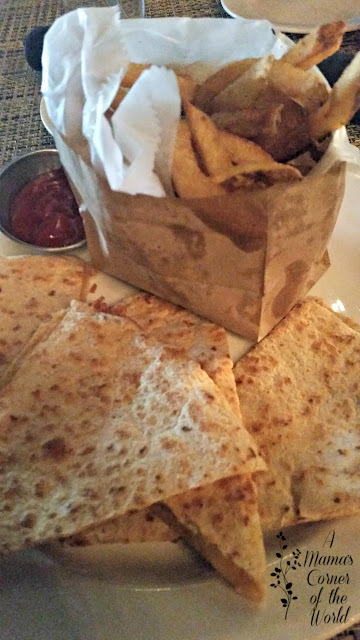 Half price appetizers and flatbreads--plus $5 Signature drinks. This made us happy during our visit! Appetizers are always huge in size--and I had already decided that an Avocado Chicken Flatbread was on my wish list for the evening meal. This happy hour special helped us make the perfect, family-budget-friendly meal! What did we order at Burntwood Tavern? 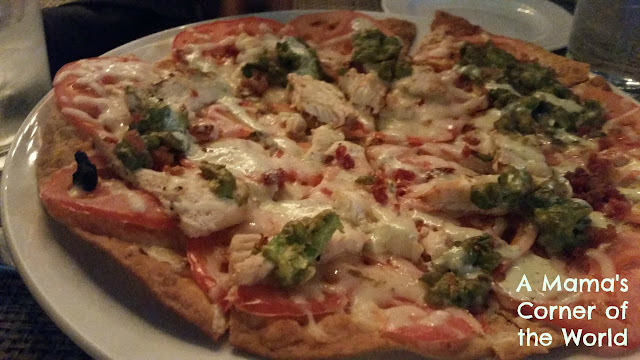 This flatbread was topped with grilled chicken, tomato, bacon, avocado & a light peppercorn ranch drizzle. This was really flavorful--and it was certainly large enough to feed two as a meal with the wing appetizer. It was also a little "lighter" feeling--so we didn't feel overloaded with the evening's tavern/pub/fried foods! Our oldest opted for the Cheese Quesadilla. First of all--she will be a vegetarian as an adult. Every now and then she'll eat a burger or some chicken--but, for the most part, she exists on pasta, veggies, cheese & vegetable quesadillas and fruit. She was happy with her cheese quesadilla--and we were well satisfied with her portion size. Secondly--the hand cut fry portion in the kid's meal was HUGE--and they were really very well seasoned and well fried. Wow. 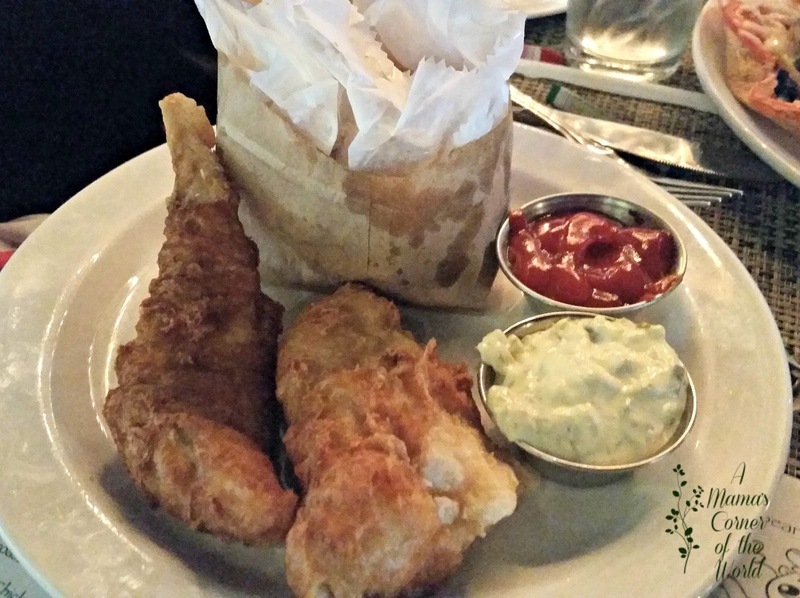 These were what I, too often, see as grown up menu, fish 'n chips-style fish fillets--and they were huge--and they were certainly not the kid's "sticks" that we expected. The youngest daughter will probably never order anything else from Burntwood Tavern. She got the fries as well--and had to share them. Okay--maybe we made her share them! Usually, the husband orders a craft beer or a locally brewed beer during such outings--but, this time he opted for a domestic beer and I ordered a Moscow Mule. 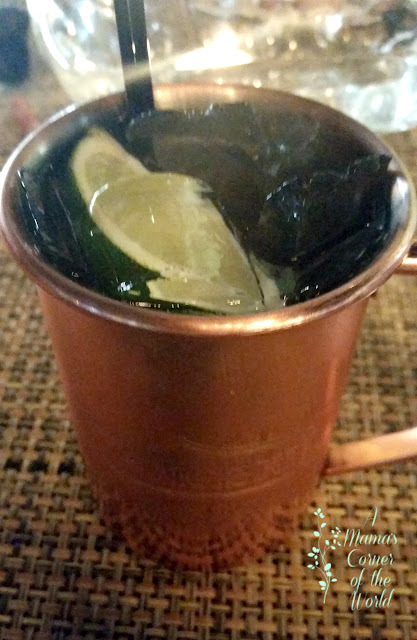 I love Ginger Beer--and this was both a well-balanced drink and a fun presentation in its Moscow Mule cup. Would we Recommend Burntwood Tavern? Our server was great. He didn't rush us--he didn't rush the girls--and he never made us feel like a family "dining with kids". We were guests--not an inconvenience. Happy Hour pricing worked wonderfully for our dinner. The appetizers that my husband and I shared were perfectly portioned for two--and lessened the "blow" of an evening out with our family--without sacrificing quality or atmosphere at all. We will return to Burntwood Tavern. It was a nice, family dinner outing. 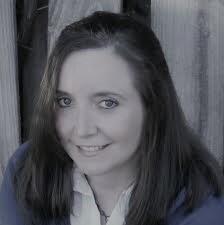 I could even see me returning with my husband or a friend for a lunch or dinner. The food and the service were great and the atmosphere was both family friendly--and couple friendly. They frequently host live bands on the weekends. They have special, seasonal dishes (like summer, soft-shelled crab). Portion sizes are large enough to share--and we didn't incur a "shared plate" fee. 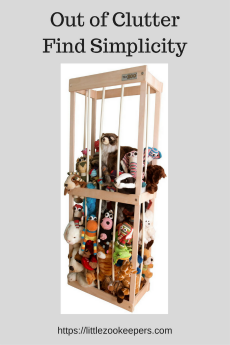 Disclosure: We were not compensated for this post. All opinions are our own. 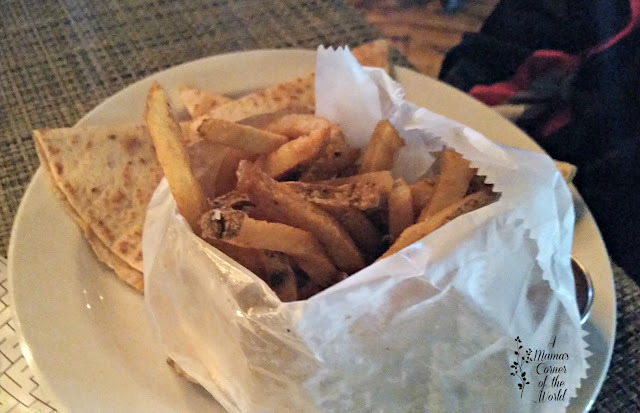 We simply found a family friendly restaurant that we we enjoyed and wanted to share it with our readers!